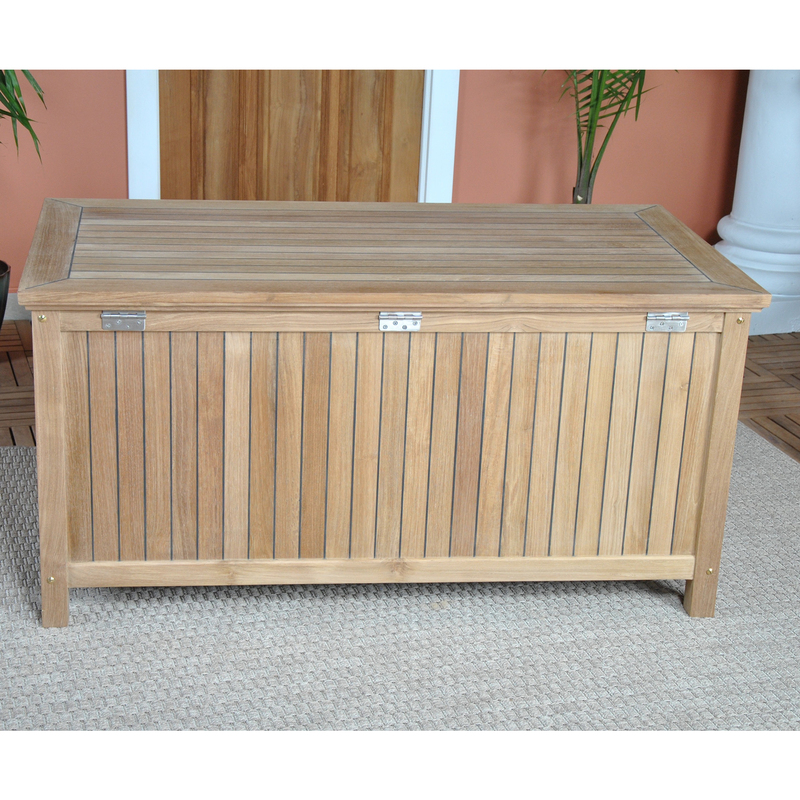 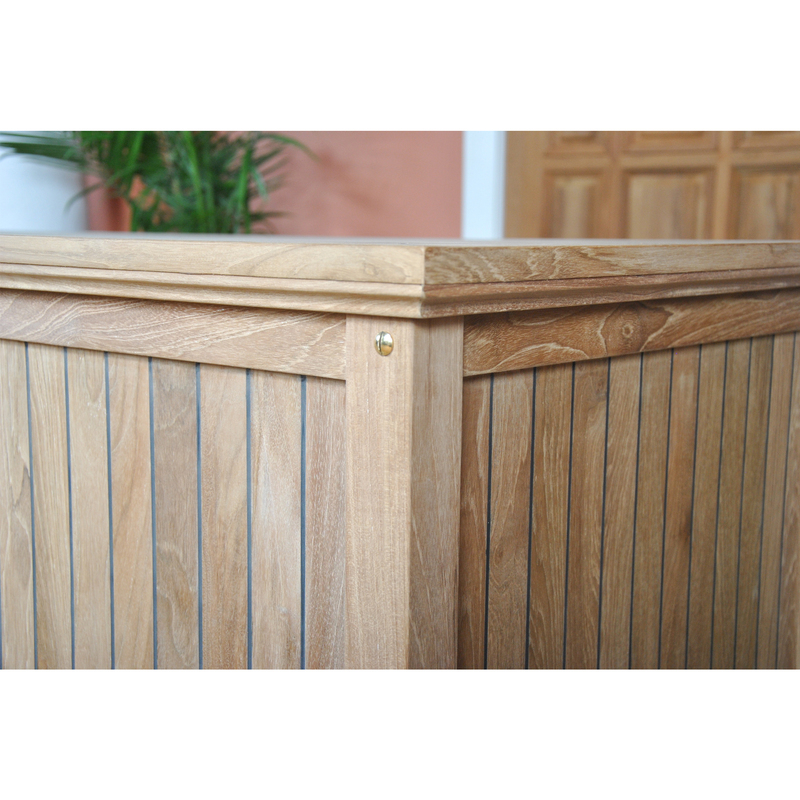 A solid teak box the Niagara Teak Cushion Box is suitable for use either indoors or outdoors. 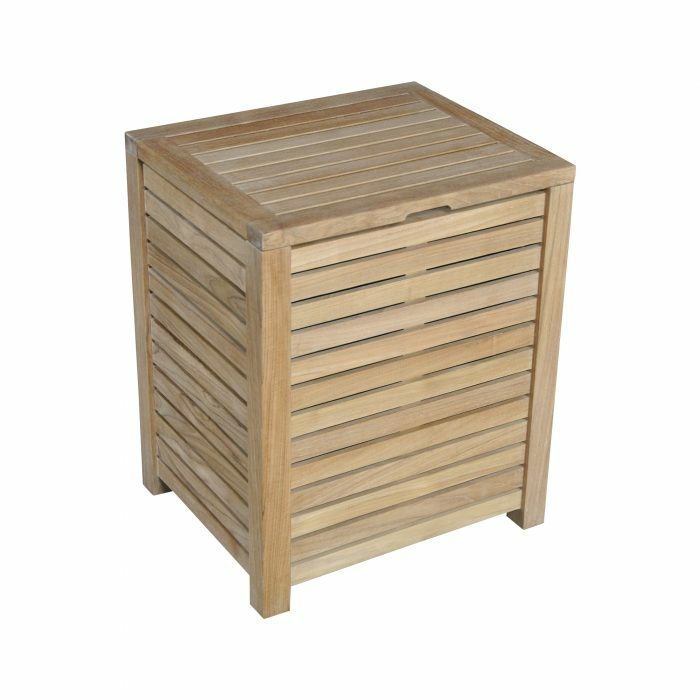 Originally designed for storing away chair cushions when not in use the teak box is versatile enough to be used for holding anything from children’s toys to lawn care items. 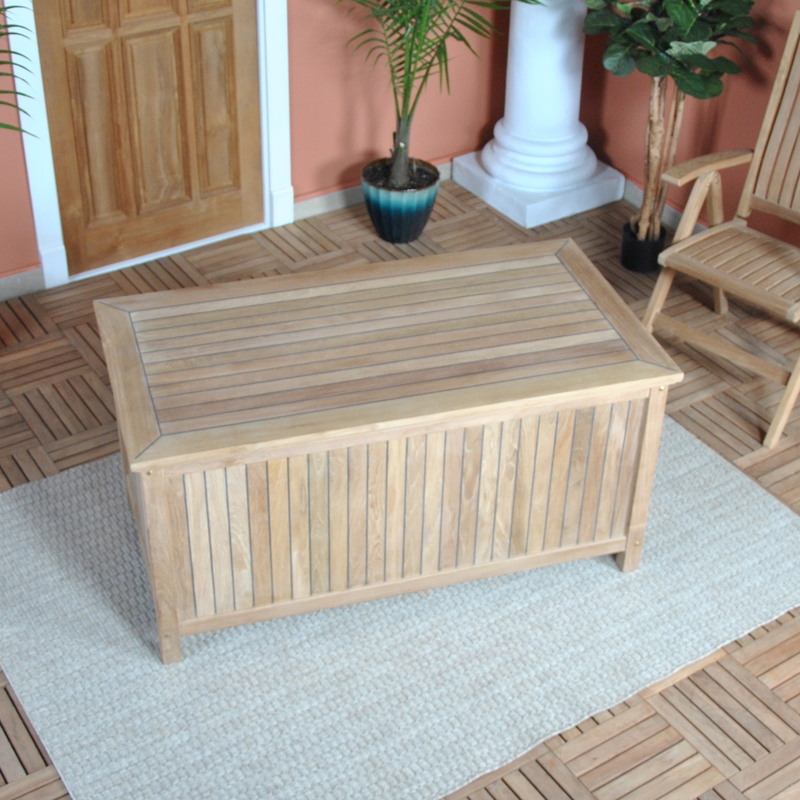 Handsome in it’s simple design the Niagara Teak Cushion Box will look great anywhere you decide to place it. 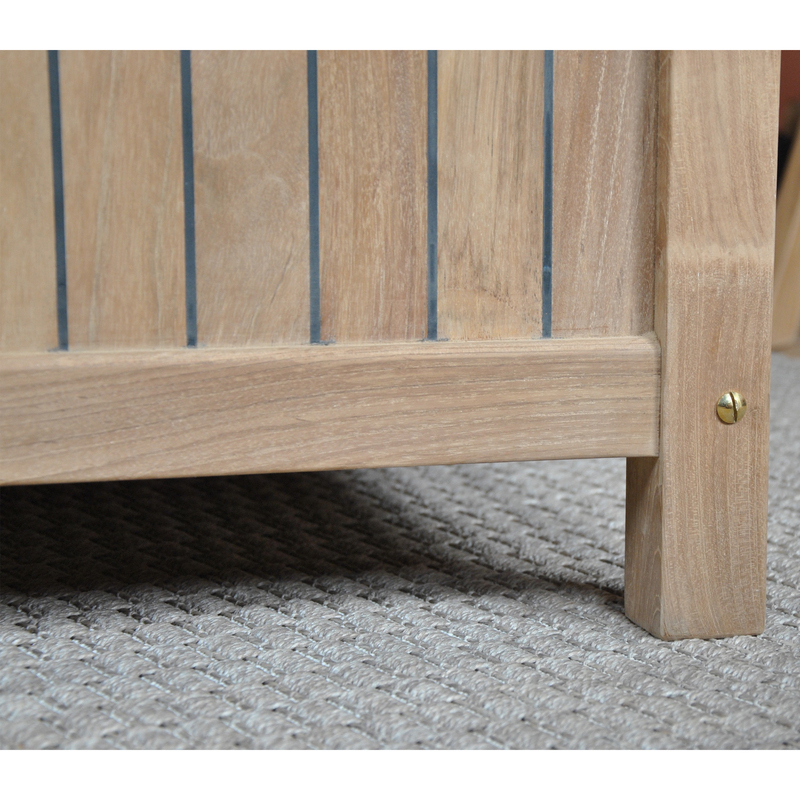 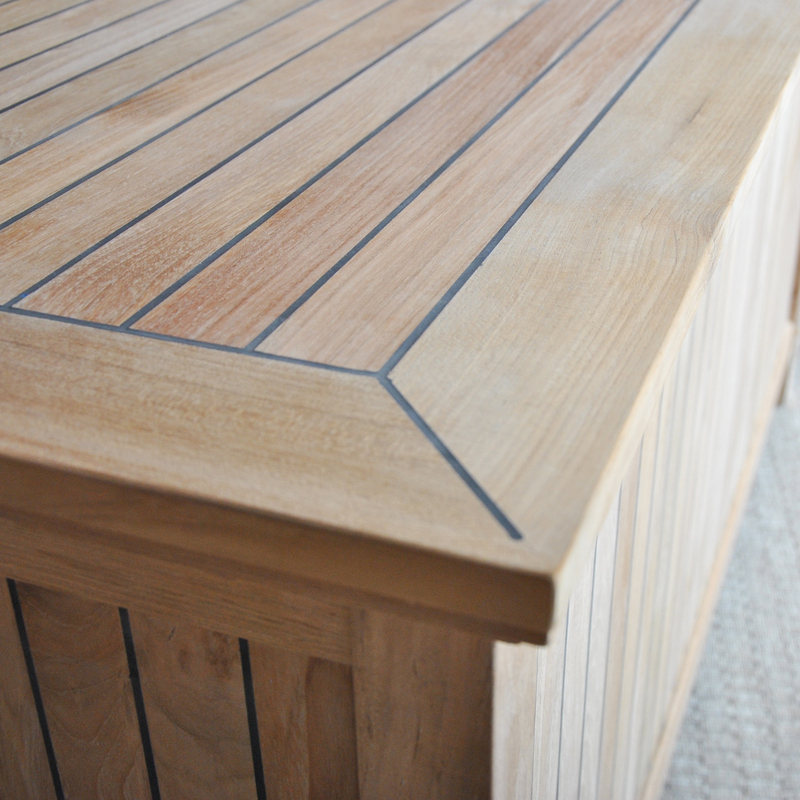 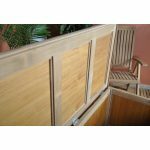 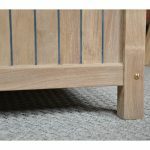 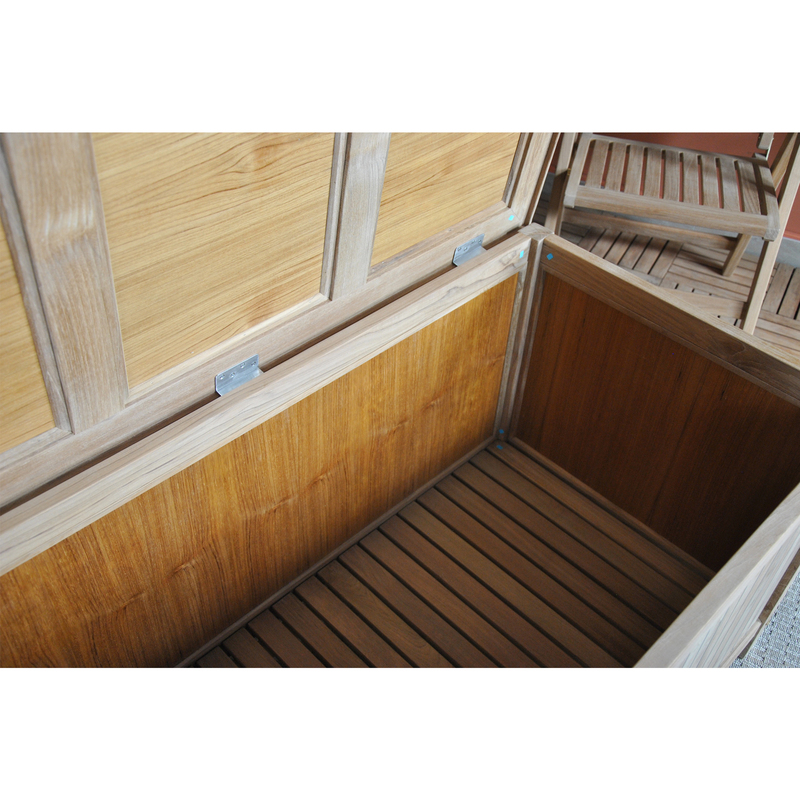 Cleverly designed to keep rain out the Niagara Teak Cushion Box is sealed between the joints of the wood on the top and the three sides while still retaining it’s classic appearance. 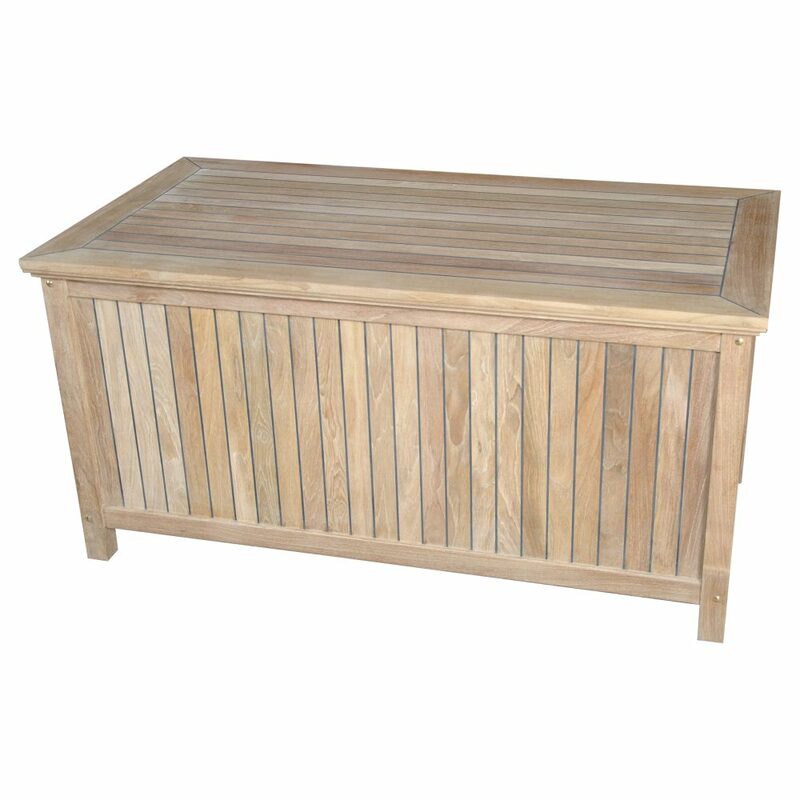 The base of the box is created using slatted wood so moisture can drain out of the bottom. 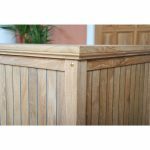 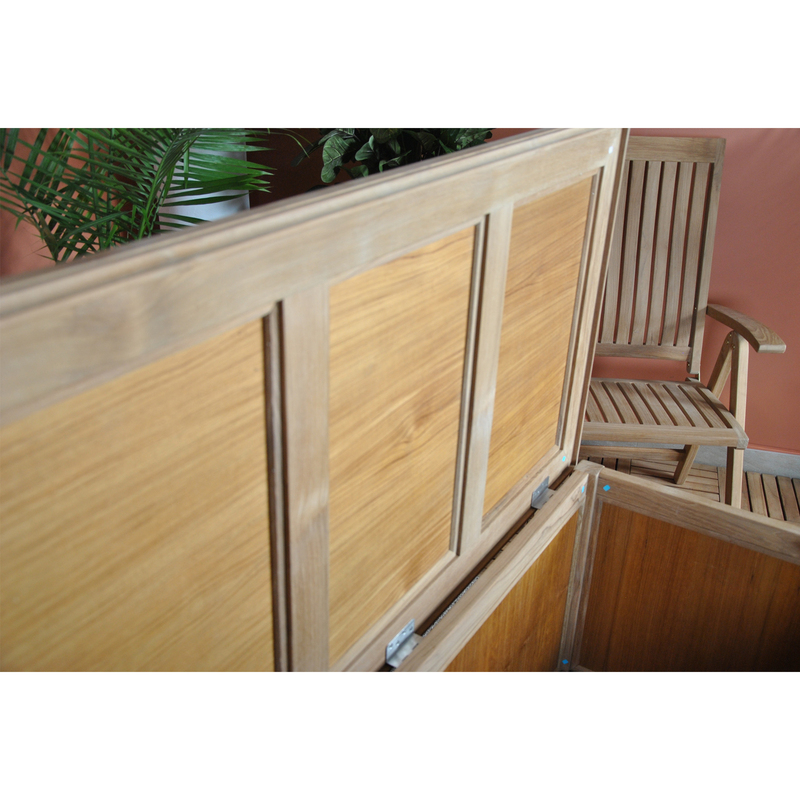 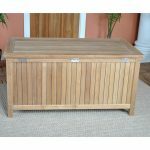 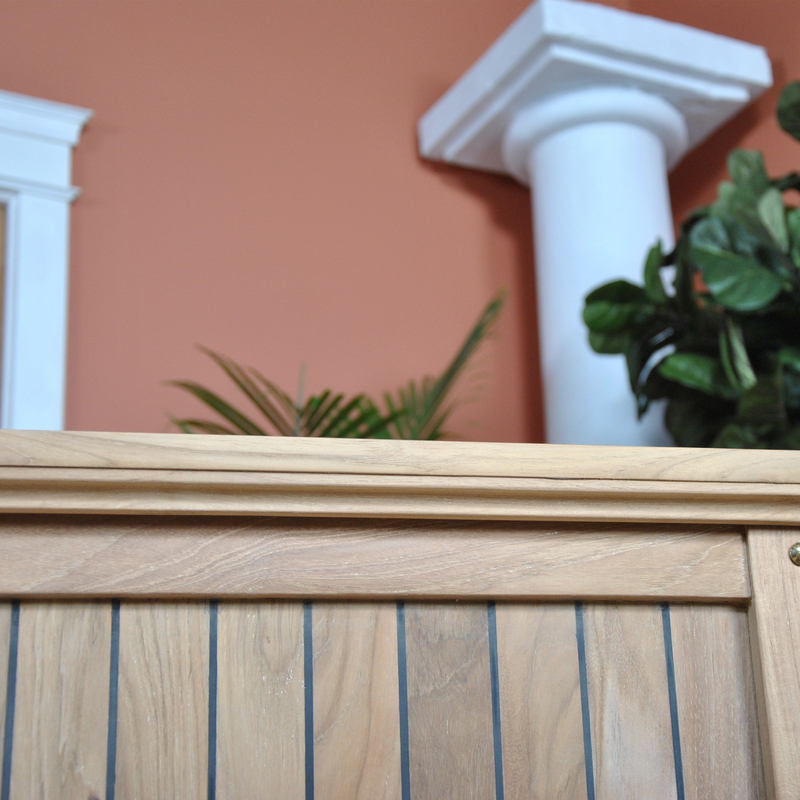 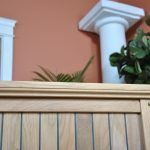 Box Measures 54″w x 28″d x 26″h.This is solid, first quality, genuine teak produced from sustainably managed plantations. 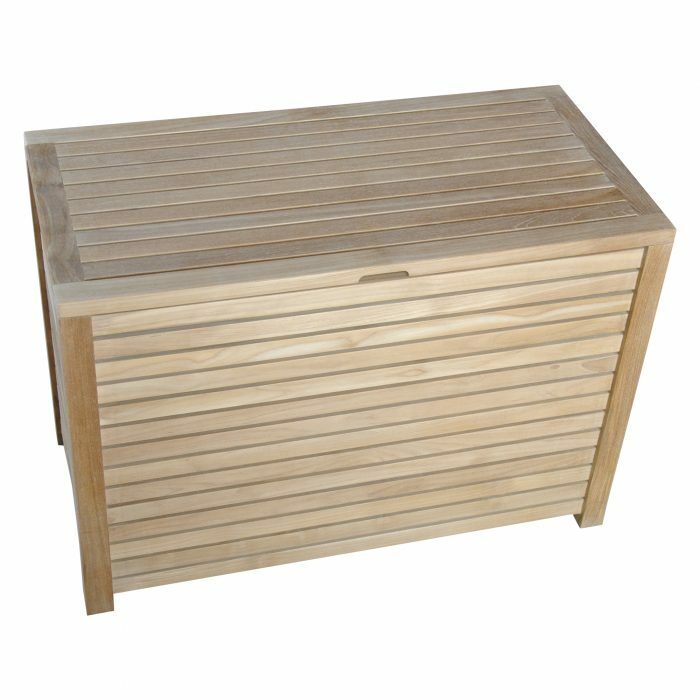 The box can be shipped knockdown if you prefer but we are also happy to preassemble it so it will arrive at your residence ready to enjoy!